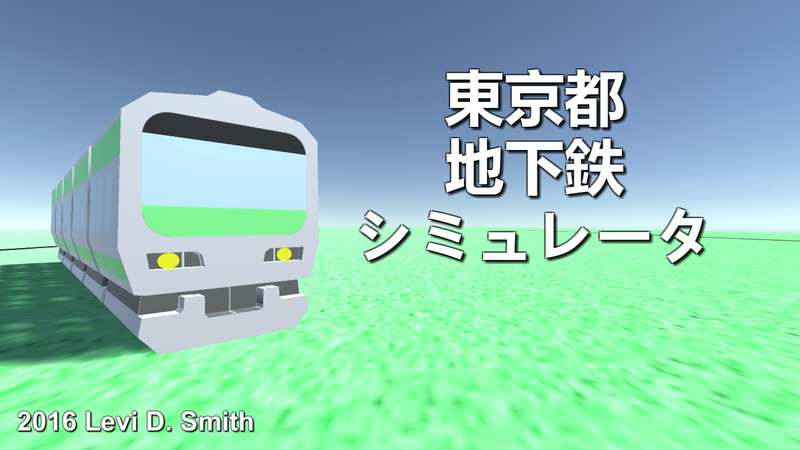 東京都 地下鉄 is a simple simulator ( シミュレータ ) of the Tokyo Yamanote Line (山手線). 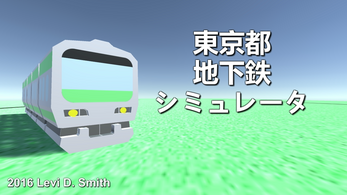 I really just wanted an excuse to use the eki (駅)　jingles in a game. 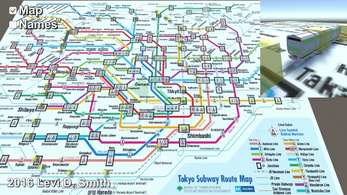 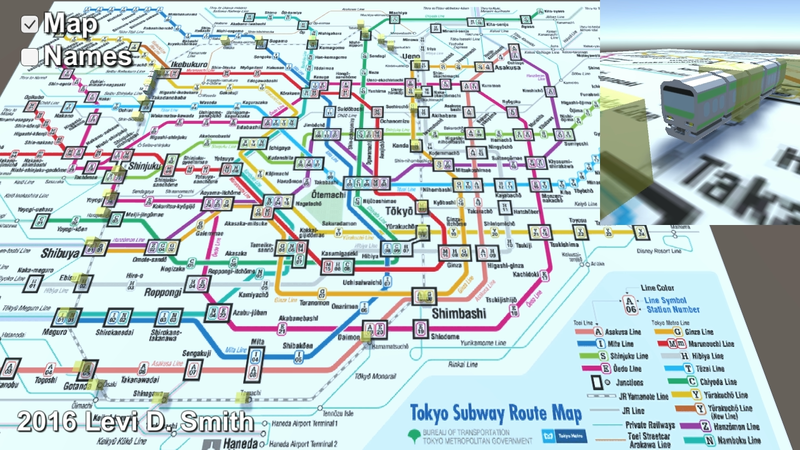 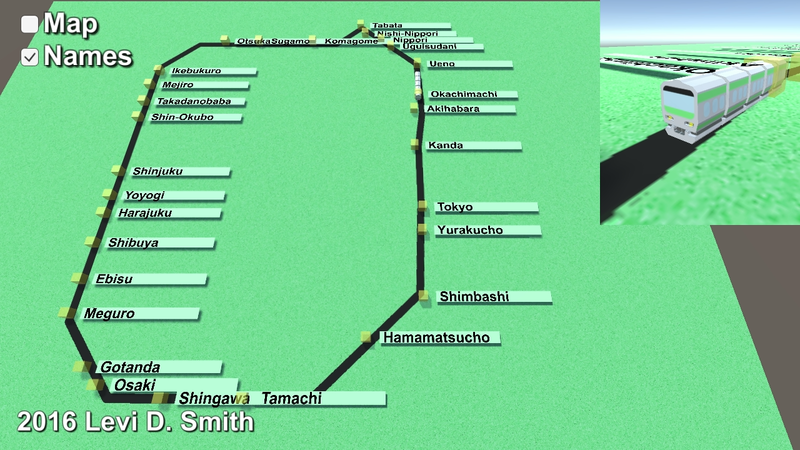 There are options to toggle the map and toggle displaying the eki (駅) names. 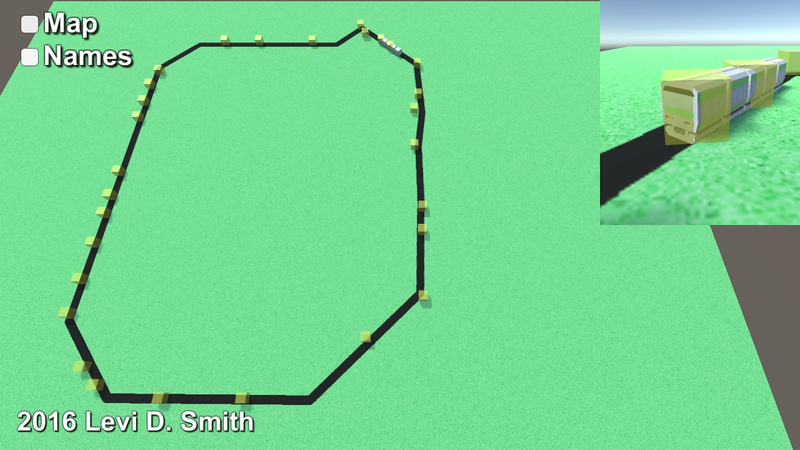 This was my first time using multiple viewports in a game. 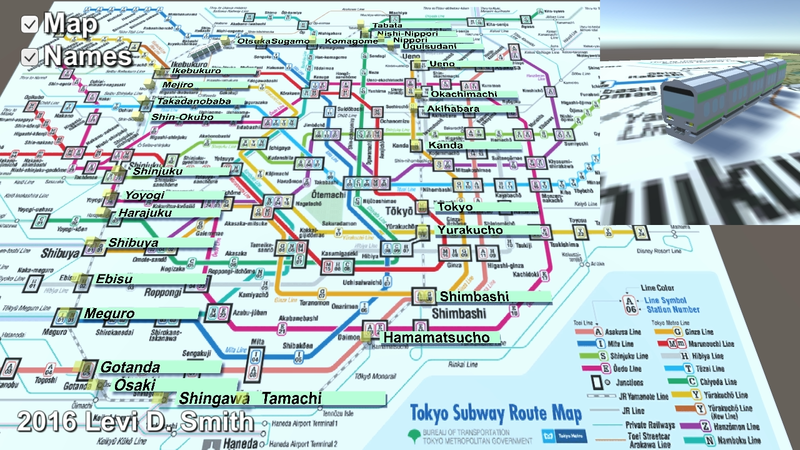 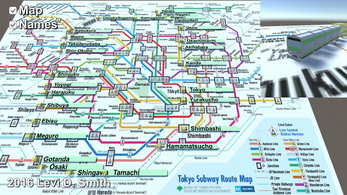 There is an overhead view showing the entire line, and a smaller window showing a closeup of the densha (電車).